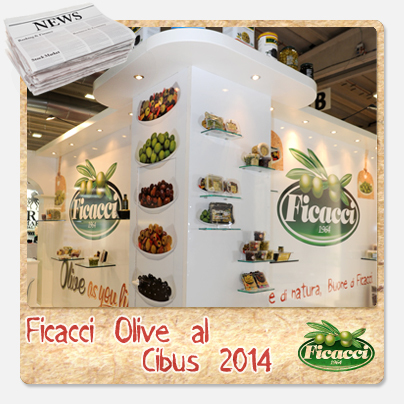 Ficacci olive wishes to thank all the attendees visiting our company stand during the CIBUS 2014 food Fair in Parma. The excellent turnout and the number of meetings made by our sales representatives, made this show extremely valuable for our company. The tasting area saw great attendance numbers and the visitors provided excellent reports both on the quality of our products and on the appeal of our new packaging labels. The company has just reached the 50th years mark and has established itself in the global market of table olives looking to expand its business upon new markets wishful to taste our outstanding Italian olives! Thank you for your growing support.